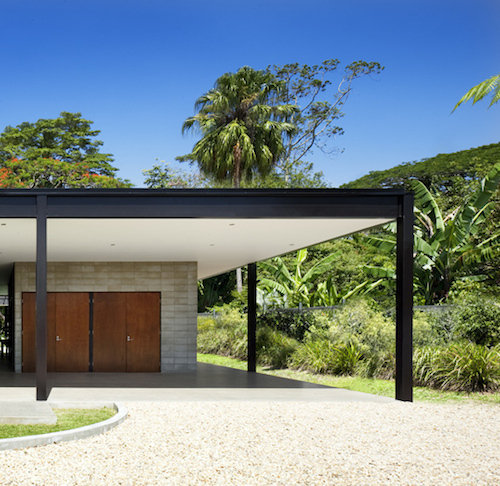 Echoing the deep black shadows of its lush tropical garden setting, this black and white pavilion home with a latticed central skylight makes a dazzling sight in rural Australia. 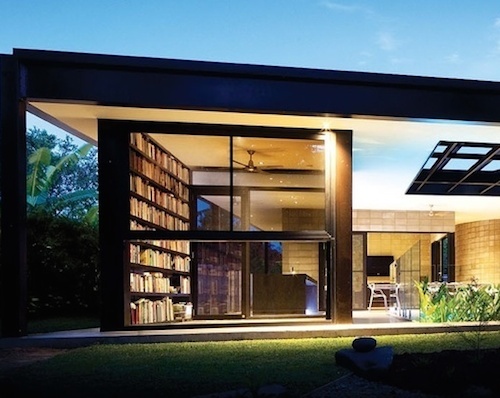 Designed for sustainable contemporary living in tropical latitudes, only the essentials – like a library of books – are protected from the moist climate in conditioned space. 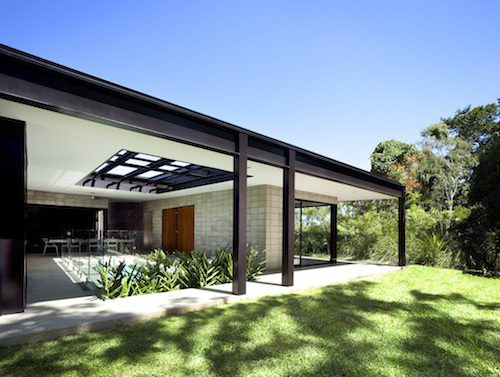 Australia’s Charles Wright Architects say the iconic Philip Johnson 1949 Glass House was the inspiration for the Glass House – without the glass, for most part. 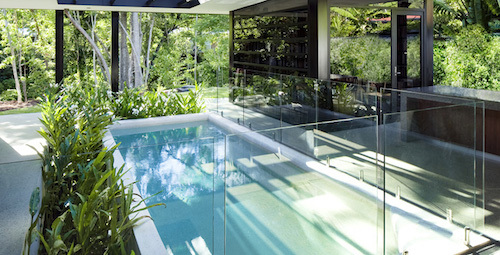 Open to the sky, the pool becomes a rain curtain during tropical downpours. 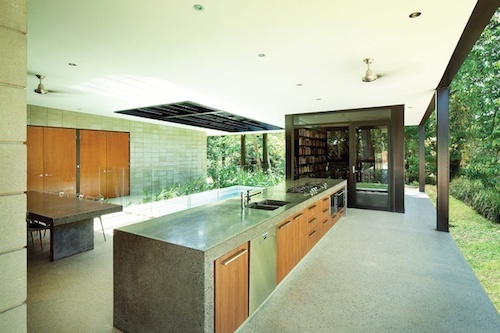 Kitchen utensils and food storage are all located in this one central island. 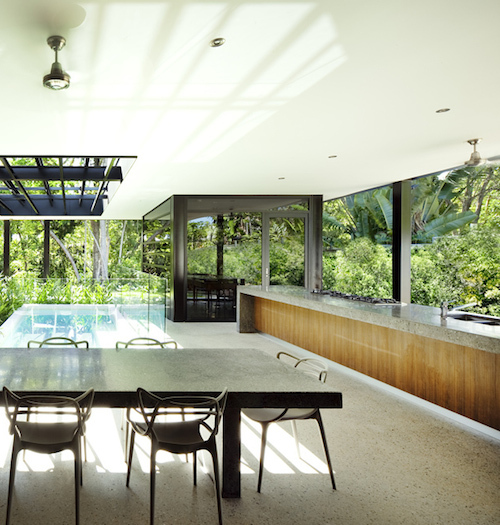 Only essential space – like the family room with the TV – is enclosed, because the humid climate would erode its functioning outdoors. 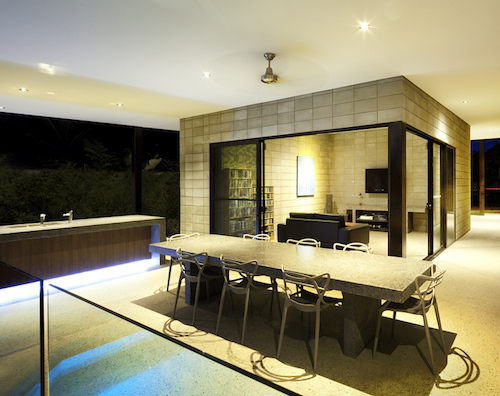 But the central cooking/eating/swimming space is open air. 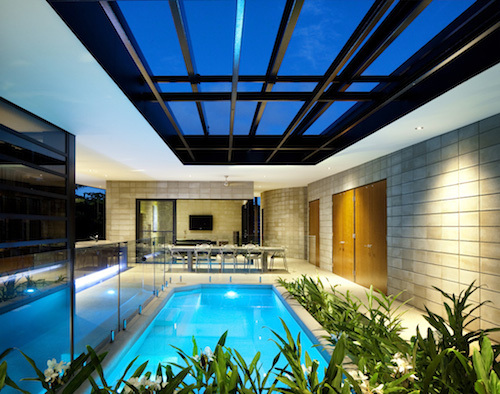 Bedrooms and bathrooms behind the wall down one side of the pool are also enclosed. 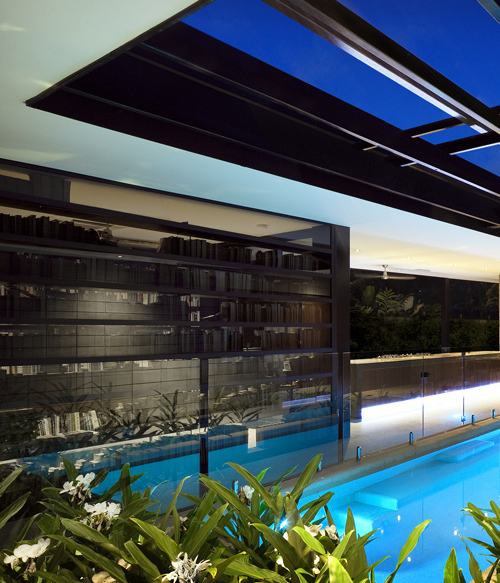 The delicious swimming pool reflects a cool blue light, by day through its latticed roof opening, and by night, reflecting lighting off the white ceiling. All of its electricity is supplied by solar panels on the roof and all of its water is supplied by a 45,000 litre rainwater harvesting tank. 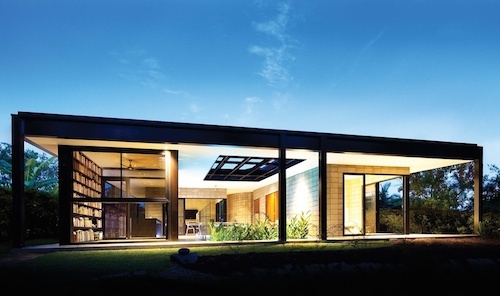 The gorgeous house is the recipient of a Carbon Neutral National Commendation for Sustainable Architecture from the AIA Awards.